I have been doing a big declutter, I've thrown out at least fifteen bags of recycling (shredded paper and old magazines). 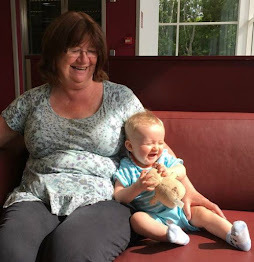 I have shredded GCSE work, nursing courses, NVQ work and more, both mine and my daughters. It mostly went back to 2008! Stuff just put into boxes, hidden in cupboards and forgotten. 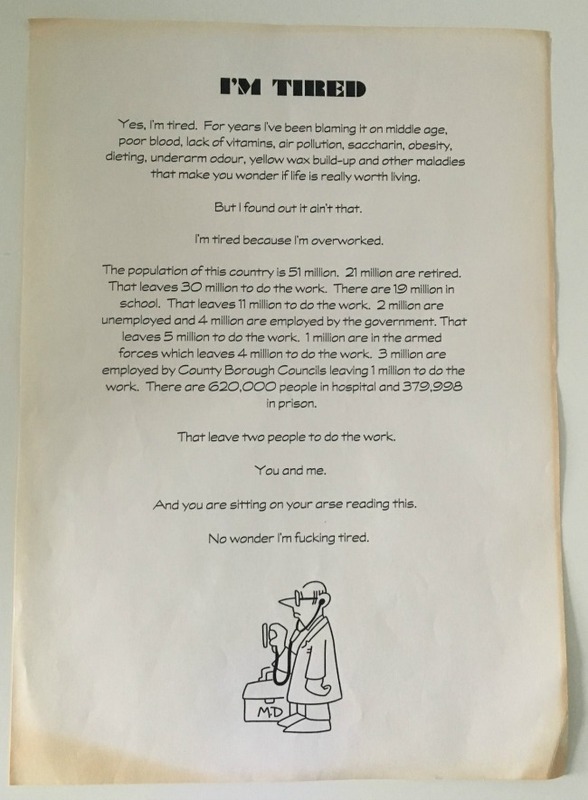 I came across a sheet of paper. 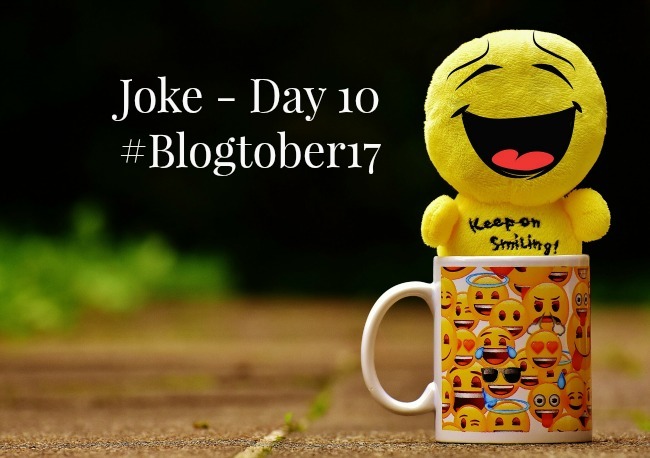 It made me giggle when I saw it so I thought I'd share it with you as part of #Blogtober17. Yes, I'm tired. For years I've been blaming it on middle age, poor blood, lack of vitamins, air pollution, saccharin, obesity, dieting, underarm odour, yellow wax build-up and other maladies that make you wonder if life is really worth living. But I found out it ain't that. That leaves 30 million to do the work. There are 19 million in school. That leaves 11 million to do the work. 2 million are unemployed and 4 million are employed by the government. That leaves 5 million to do the work. 1 million are in the armed forces which leaves 4 millionth do the work. 3 million are employed by County Borough Councils leaving 1 million to do the work. There are 620,000 people in hospital and 379,998 in prison. That leaves two people to do the work. And you are sitting on your ar*e reading this. No wonder I'm f***ing tired. Ha! I feel tired too, just thinking of all the work you're doing for me!